Abe and Putin’s latest meeting brings the two sides no closer to a breakthrough. Well, I think, not the first Japanese, but instead the earlier inhabitants of the islands. This documentary film (2015) was produced by Dr. Kinko Ito, a professor of sociology at the University of Arkansas at Little Rock (UALR) in the United States. She conducted her research and many unstructured interviews in Hokkaido in 2011, 2012, and 2014. This ethnographic film features several Ainu people, and the interview topics include identity, marriage and family, human relations with non-Ainu Japanese, their history, and school and work experiences. No doubt there are disagreements about the history of migration of peoples since ancient times. In the past archeologists have made wonderful convincing maps of migration history based on technology or language artifacts. Only to have their theory completely discredited years later when DNA mapping showed that sometimes technology and language migrated to new areas not the people themselves. Who knows whether in the future the migration maps now being created based on DNA may itself be found in error after some new way of research is discovered. Also what happened during the conflicts that arose between indigenous people and the new invaders is also often hotly debated / disputed. As some of the above links hint the Ainu are now divided by being governed in the south by Japan and in the more northern disputed territory islands by the Russians. A situation in existence for over 70 years. 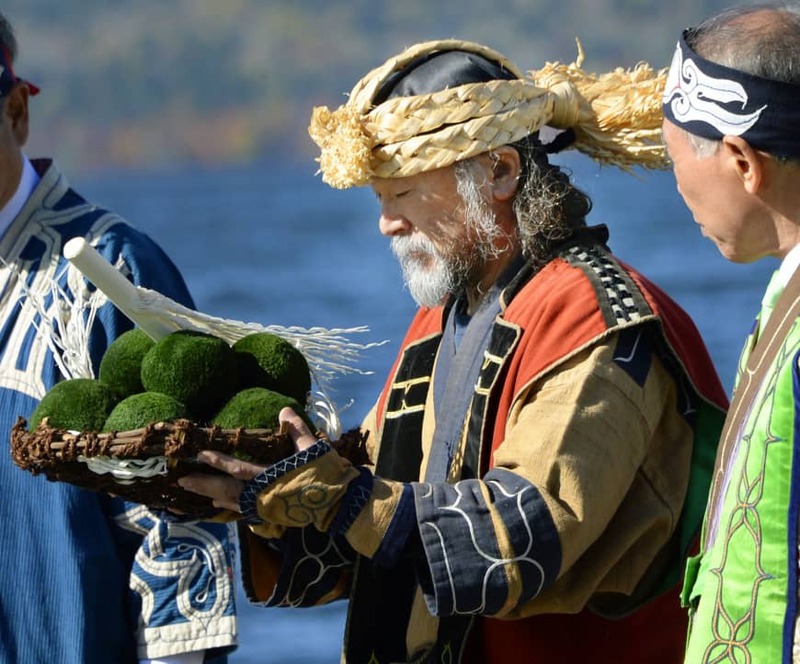 Since there is some belief that the Ainu are the originators of tenkara. I think it would be interesting to know what the elders today recall of their historic methods of stream fishing were. Though they may not remember as they seem to have been banned from fishing in the late 1800s, though probably not all fishing methods, and probably some banned methods were still done in secret. The mystery of the origins of the Ainu seems to be very similar to the mystery of who the Melungeons are, and where they came from and how. Early colonials pushing west of the Appalachians were surprised to find a people already living there that were more European in their way of living than the surrounding Indian tribes. They were a little bit Spanish, a little Turkish, and Portuguese, African, and Indian. Perhaps descendants of survivors of wrecked ships in the 1600s. A mixed race culture though of course much younger than the Ainu. I hope Russia and Japan will find a common solution.